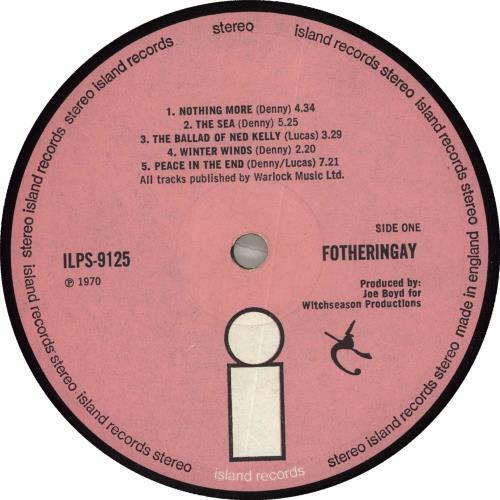 FOTHERINGAY Fotheringay (1970 UK first press 9-track LP on the third design pink with white 'i' Island label, produced by Joe Boyd for Witchseason Productions & starring Sandy Denny. 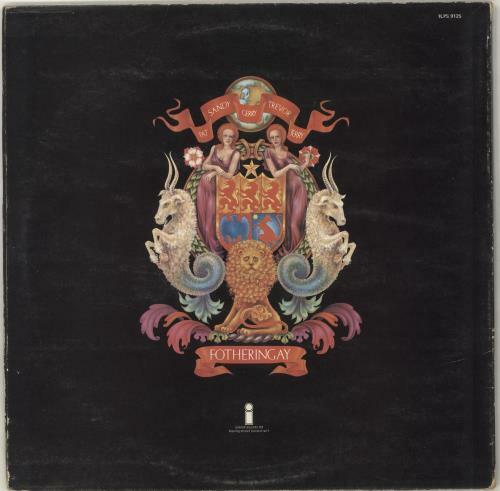 The matte gatefold picture sleeve [VG] has edge scuffing, as itwas never laminated, although there is no writing or tears & all text is clearly legible including along the spine. In stark contrast, the vinyl is near 'as new' ILPS9125). 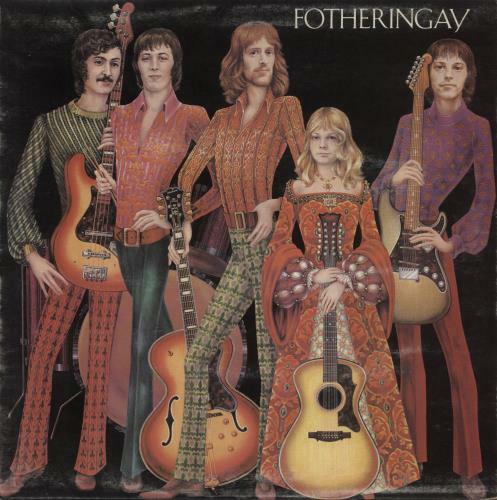 or visit our Fotheringay image gallery.